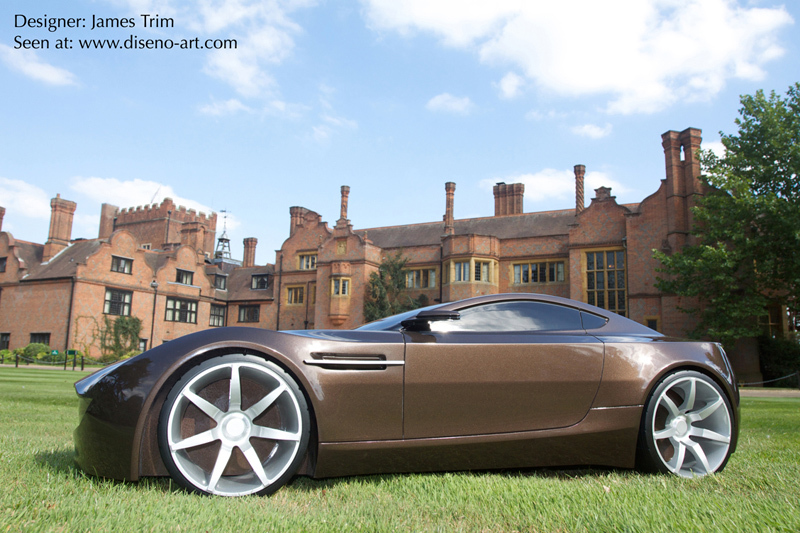 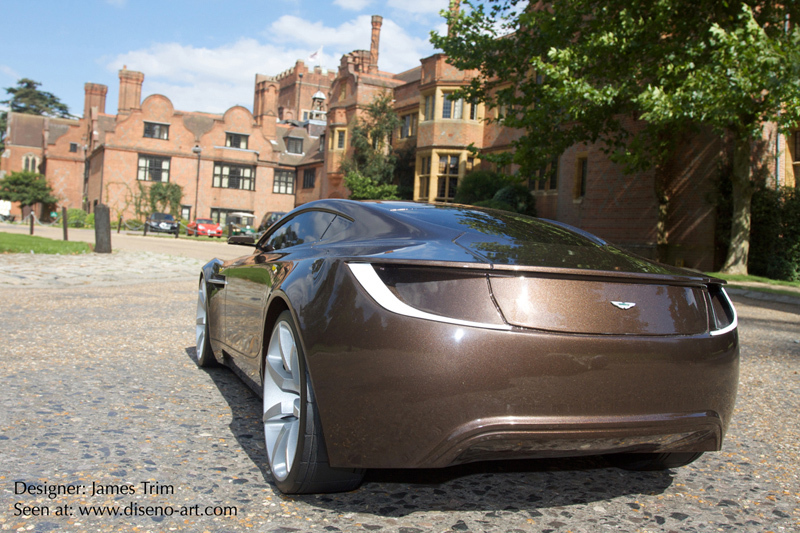 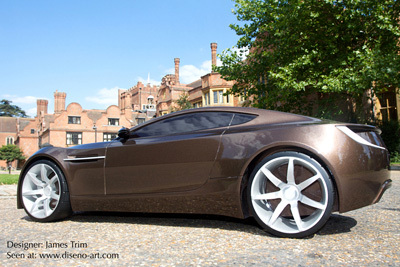 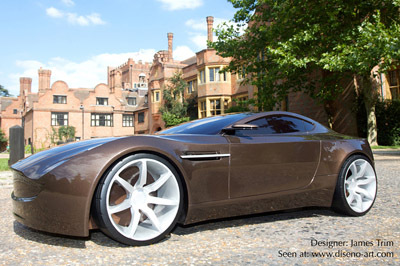 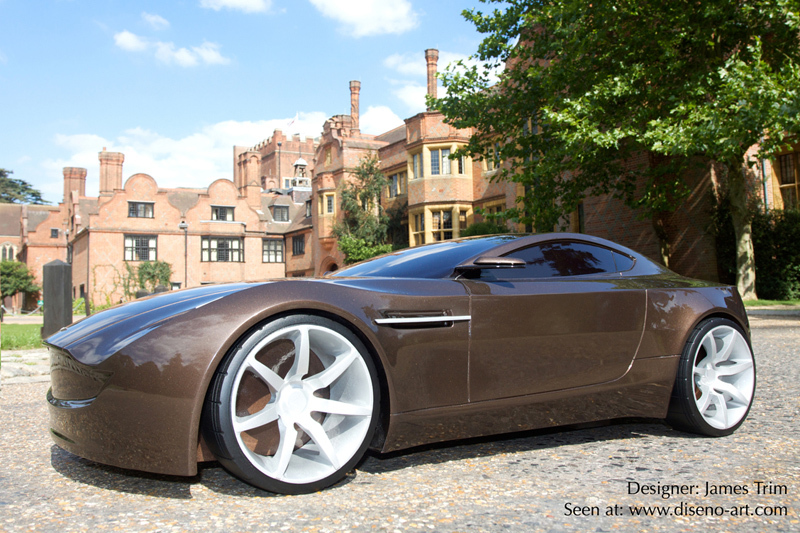 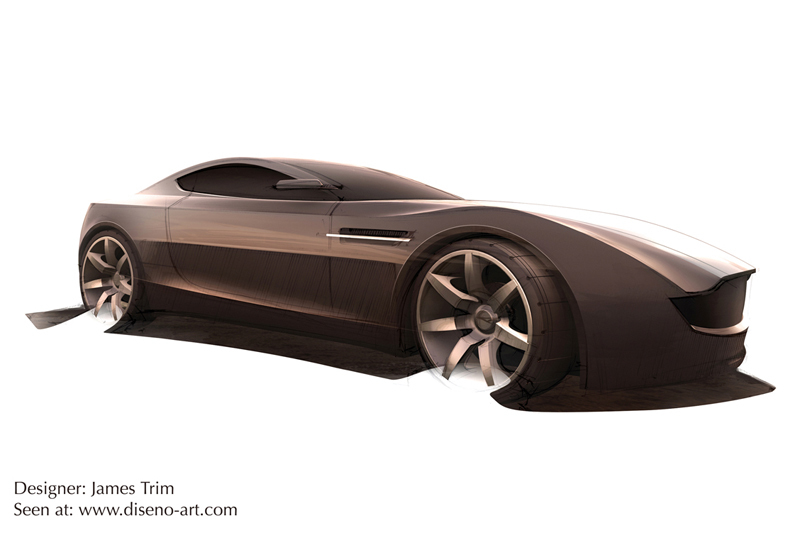 The Aston Martin Volare concept was a vehicle developed by James Trim during his final year at Coventry University studying Automotive Design. 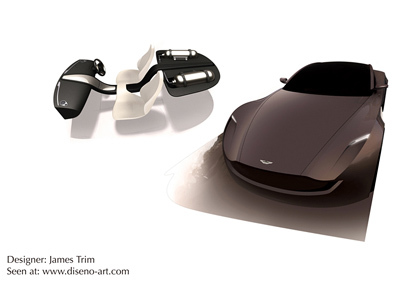 The Volare is a proposal for a next-generation Aston Martin supercar which features an environmentally friendly drivetrain. 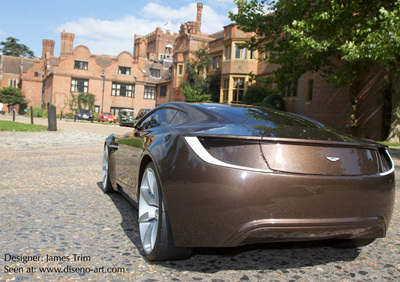 Aston Martin, like all other supercar manufacturers, faces a dilemma over the next decade; How to dramatically reduce the carbon footprint of their vehicles while also maintaining performance levels which are equal, or superior, to past models. 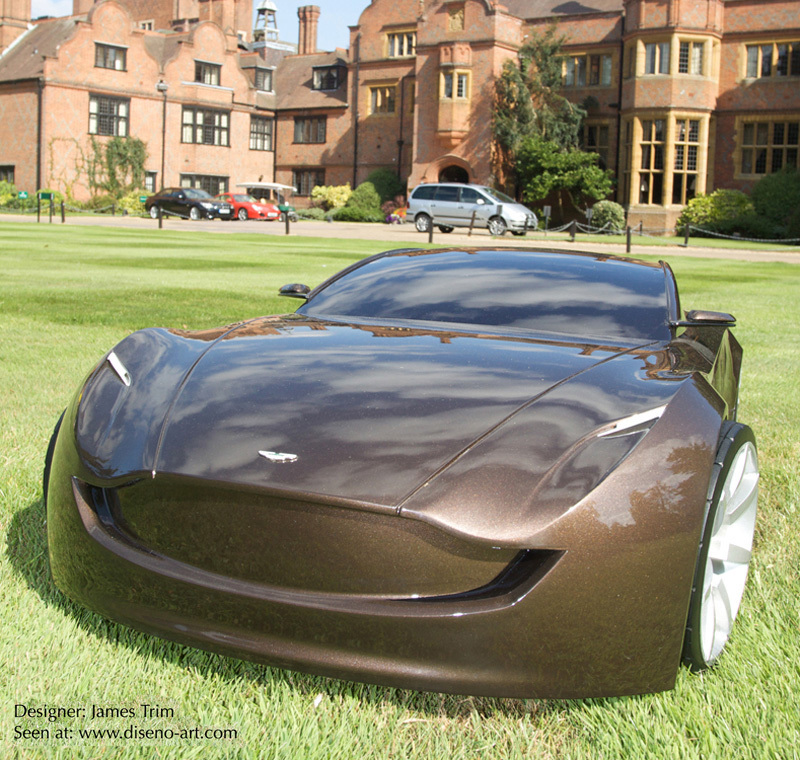 The two-seater Volare utilises a high-power fuel cell stack, located between the front seats, a rear-mounted battery pack, and a coaxial electric motor at the front. 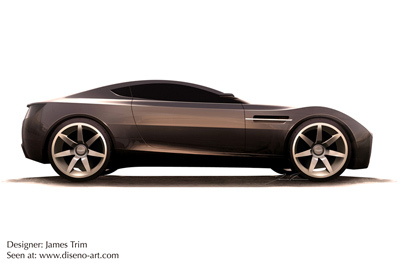 To balance the Volare's weight distribution, the two hydrogen storage tanks have been positioned directly above the car's rear axle. 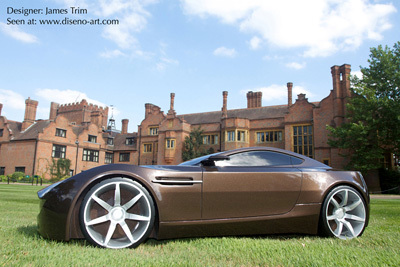 Trim said of the design; "Aesthetically the vehicle sharpens up the familiar Aston Martin proportions, with much crisper shoulders and a noticeable floating rear deck. The solid front grille was inspired by the older V8 Vantage, while the flexible front fenders can alter their shape to reveal daytime running lights or full headlamps." 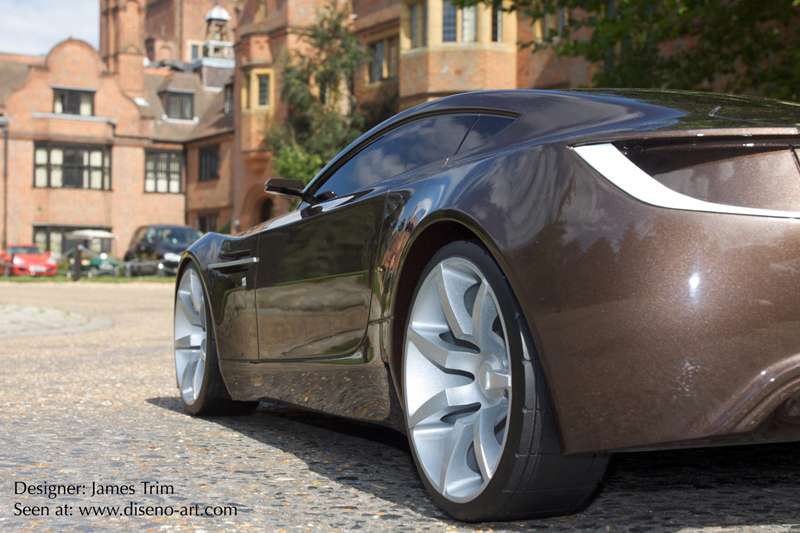 Aside from the eco-friendly drivetrain, another dictating factor in the Volare's design was the desire to create a car which was instantly recognizable as an Aston Martin. 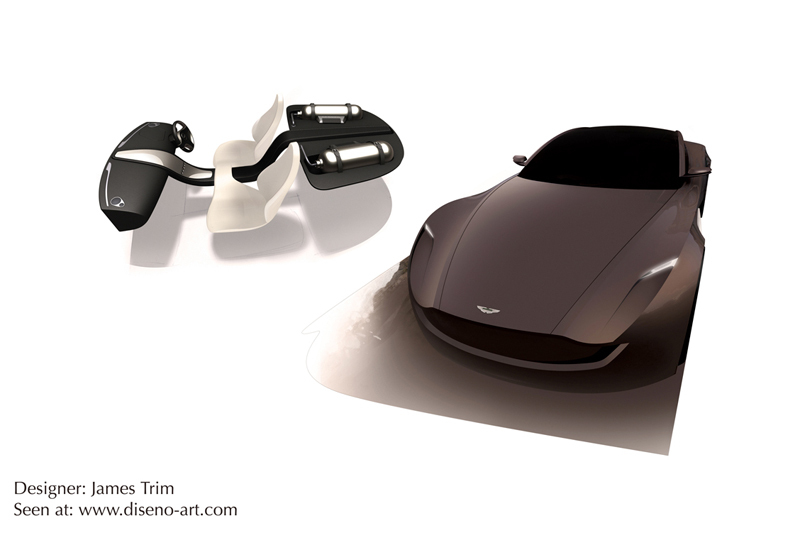 It was important that the styling was influenced more by the heritage of the brand, rather than the source of power. On the Volare concept all the hallmarks of Aston Martin are instantly apparent, sleek profile, short front and rear overhangs, trademark grille, powerful rear arches and uncluttered lines.